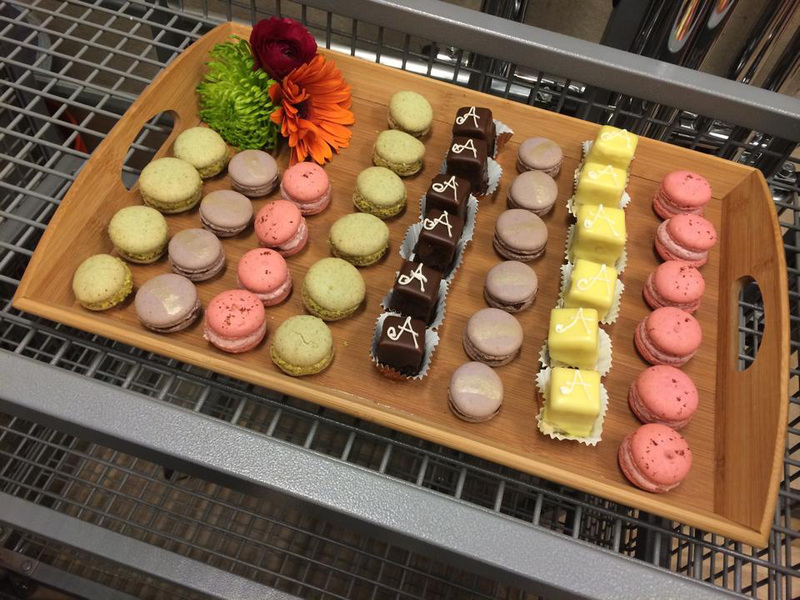 Sweets for the Opening of Anthropologie in Portland! I made treats for the opening of a new Anthropologie store through my work with Bread & Butter Catering. We made an array of petite fours and macarons. Pink = pink peppercorn raspberry; Purple/Gray = lavender blackberry; Green = pistachio. So good and so pretty. Such pretty spring-like colors! By the way – make sure you check out Bread & Butter Catering. I share a workspace with them and work with them often. They’re great people doing great work. And, they catered my wedding — no better endorsement than that. They did a fantastic pig and turkey bbq for a ton of people in the middle of a field. The food was delicious and everyone was well-fed.